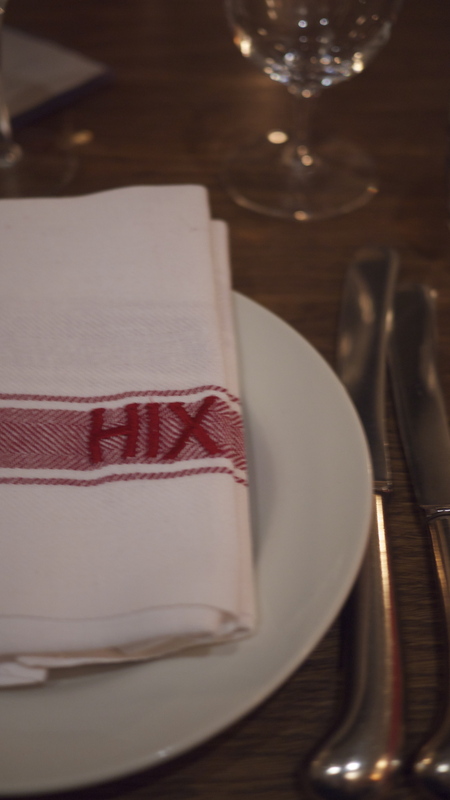 What could be better than having Mark Hix expound personally on why he recommends Clarence Court eggs at a select tasting in the private dining room at Hix Soho? Better than doing a blind comparison of three egg brands via steaming plates of creamy scrambled and perfectly presented boiled eggs? 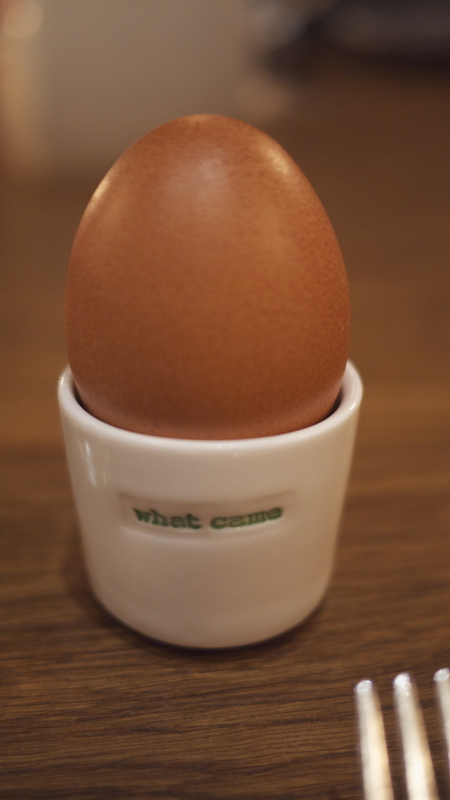 Better than the eggselent* three course eggy menu that was served up to us afterwards? The answer is “Taking home 2 doz eggs in an Orla Kiely goodie bag”. BRING IT ON. 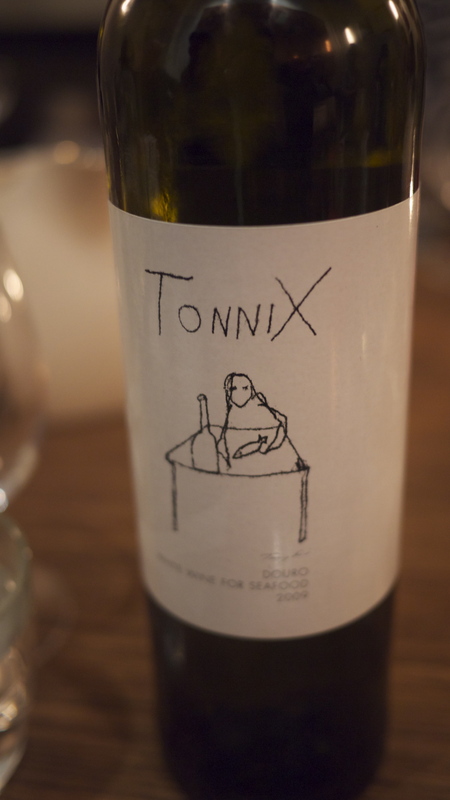 Mark Hix talked to us about why he’s a Clarence Court Ambassador (partly the vivid yellow colour of the egg yolks – as he said, you eat with your eyes too), chattered about the modern art (all of the art in the restaurant was specially commissioned) and we had Tonnix wine to drink (a collaboration between him and Mitch Tonks, conceived over a lunch at their mutual Portuguese wine merchant, label designed by their mate Tracey Emin) and tried different a trio of egg dishes. 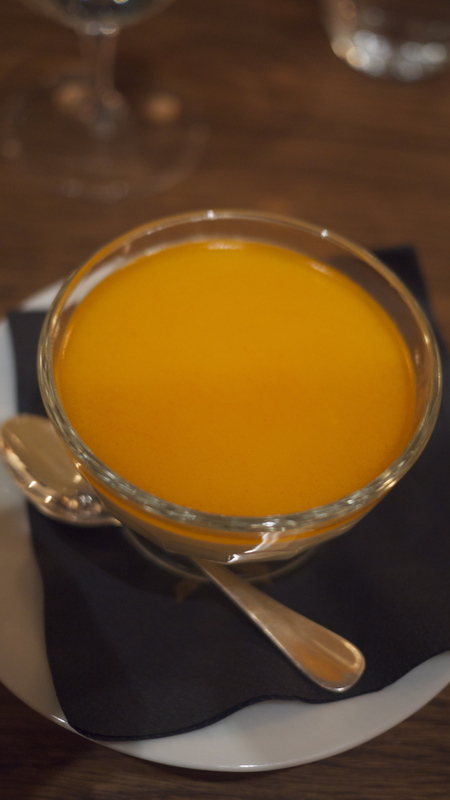 I loved the posset which surprised me – usually not a fan of that type of dessert. I’m already a fan of Clarence Court’s Burford Browns, and as it happened we’d just shopped so I was looking at a fridge containing 36 eggs. It’s not that big a fridge. 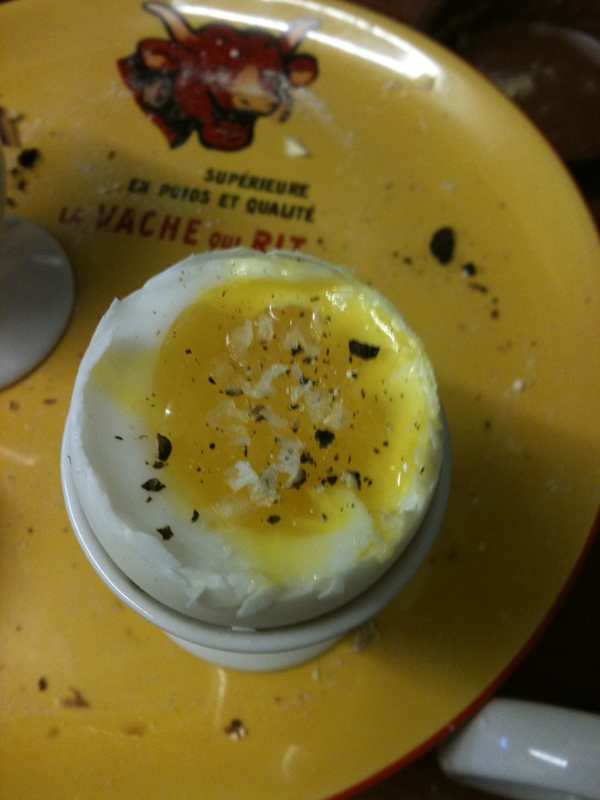 First off, a luxurious Saturday breakfast of boiled duck egg and sourdough toast. (if only we’d had truffles too we could have tried to recreate our favourite Tristan Welch starter at Launceston Place) After 5:40 mins precisely as mandated by Delia, they were little pools of yolky sunshine and my only complaint was I hadn’t been offered two of them. The chef pointed out that they’re bigger than chicken eggs. I tried to nick some of his and had to make do with purloining toast. 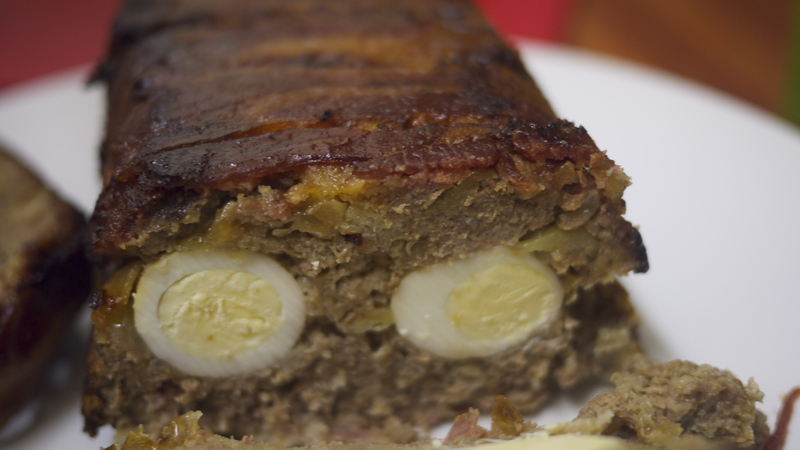 I’d contemplated making quail scotch eggs but on an evening when I knew I had to use up 500g of mince, the boyf had an inspired idea: thanks to his flicking through Nigella’s “Kitchen“, we ended up with Meatloaf. 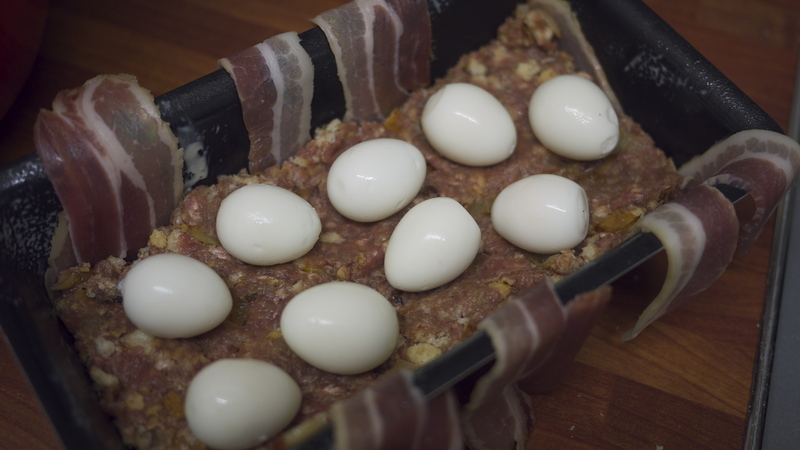 Rather than the chicken eggs which she naturally suggests, I used one duck egg to bind it all admirably and nestled 10 hardboiled quail eggs into the centre of the meat. 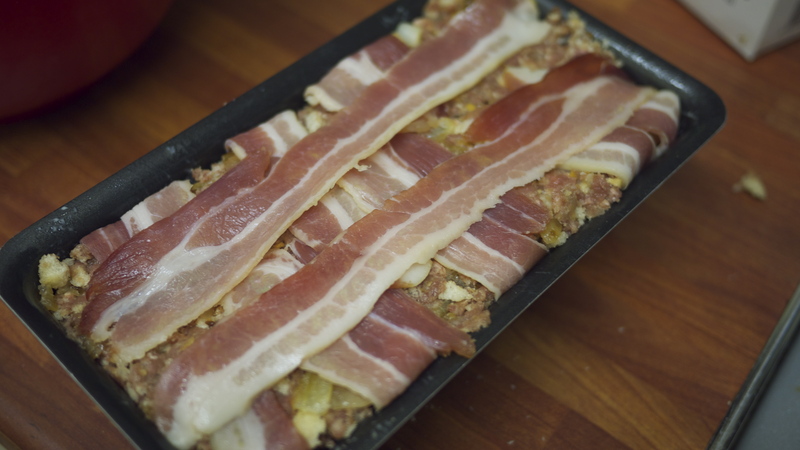 It works a treat as every slice has a reasonable allocation of egg throughout. 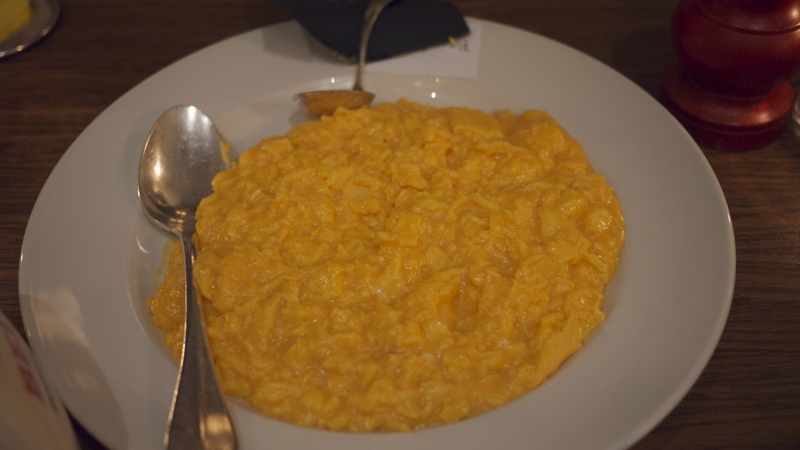 Finally I decided to attempt my grandmother’s custard to finish the eggs – I reckoned it would be the perfect accompaniment to something else in the fridge – the Heston from Waitrose Hidden Orange Pudding. 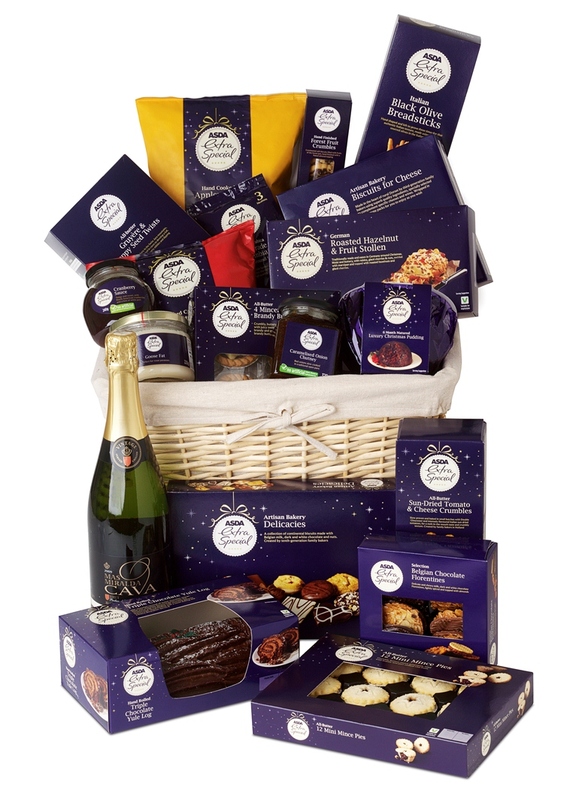 I’d been thrilled when Waitrose sent me one and then hesitated to open it. My Dad *loves* Christmas pudding and I knew I’d be very popular if I brought it home. To Ireland, for Christmas. That was a month away at that stage. Boo. Then Helen kindly said she had lots left over in her fridge and gave me some, and I get to be awarded the “Best Daughter” prize. Win!! 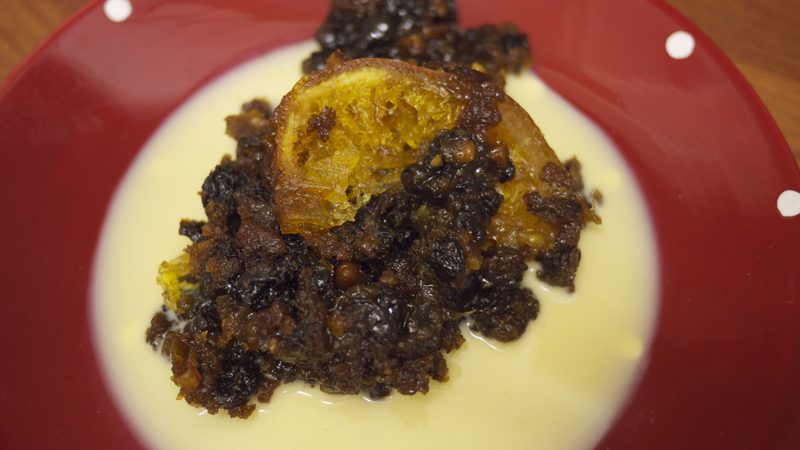 I have to admit, I really liked the pud. Mainly because it smelled just like the one my Mum makes, so it was going to be a winner, though Mum’s pud has certainly never strayed anywhere near an orange, and it’s honestly nothing like a Sussex Pond Pudding (one of my colleagues pointed out that that was where the inspiration probably came from) but I like the whole nuts and the sweetness – it was rather less stodgy than Christmas pud can regrettably be. Famously, it sold out and there wouldn’t be any more on offer as they take too long to mature. That makes feel almost churlish saying how well it went with proper egg custard, made with one of the last Burford Browns. 1 Burford Brown egg yolk, at room temperature. Pour the mixture back into the saucepan and whisk constantly while heating gently until it coats the back of the spoon. Now it’s on to a dry January, and a vast stacked of Post-It’d book marks. 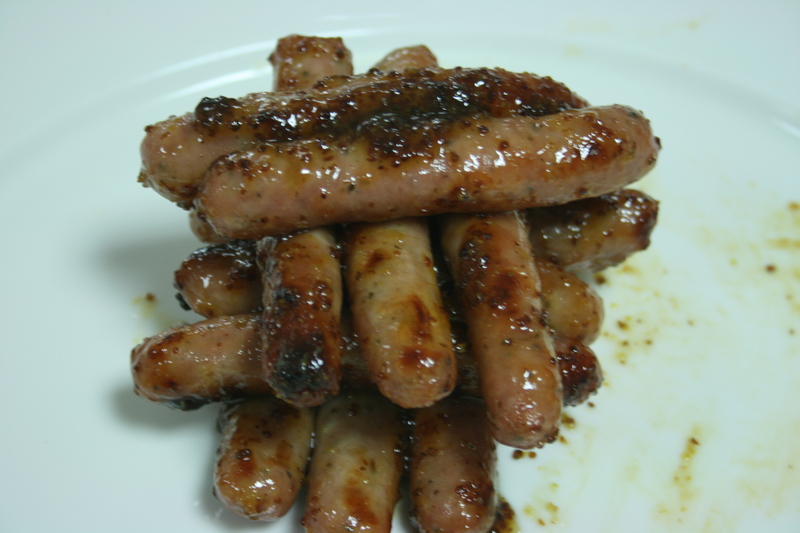 Lots of new recipes to try this year.